I spent a whole morning wandering around Sam Tai village, looking at work on looms, greeting groups of women and being shown their completed weaving. The villagers were so friendly, usually greeting me first, their faces so hopeful and their work all so beautiful, that I was sorry I couldn’t buy a piece from every single woman in the village. 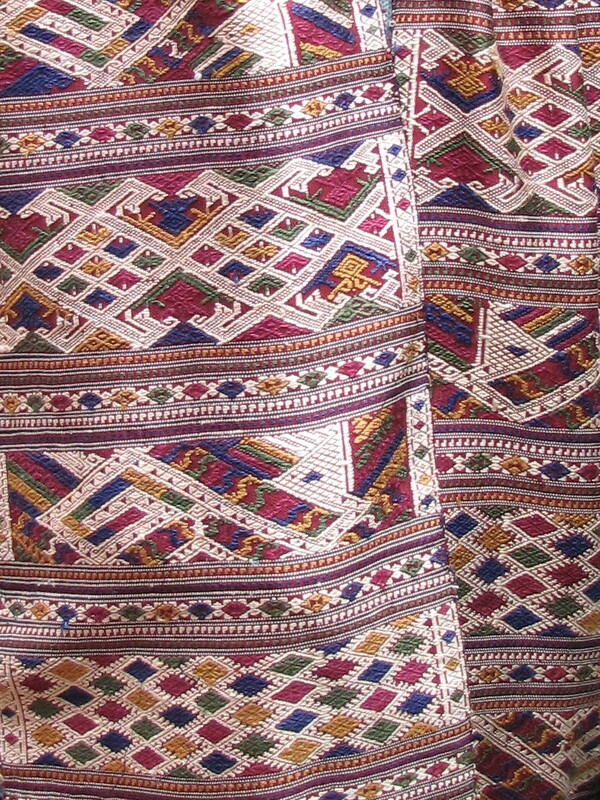 Even though I could buy work of such beauty in Luang Prabang or Vientiane, I find it much more satisfying to buy directly from the weaver. I love the gentle, friendly price negotiations that leave everyone feeling that they have made a fair transaction, and the warmth, openness and eye contact that are to be found in less visited villages. 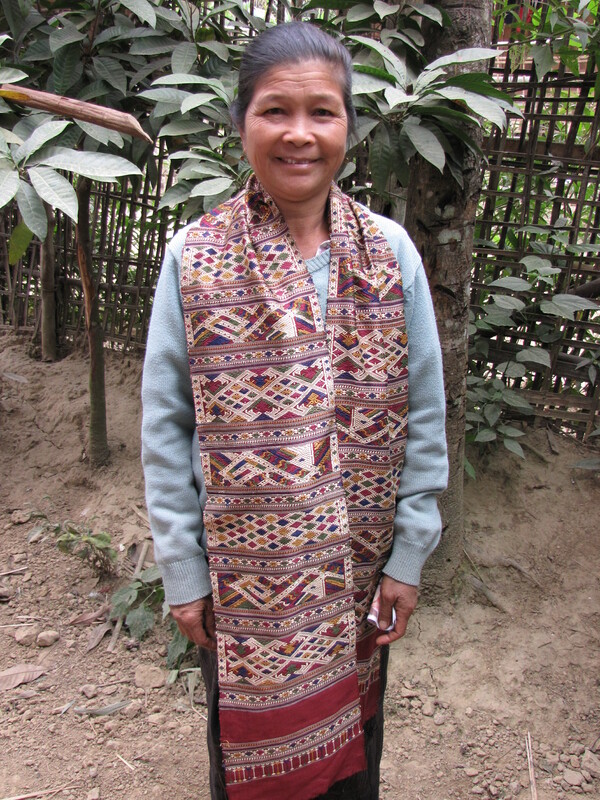 And nothing can replace the smile of a weaver when she knows she has made a sale. 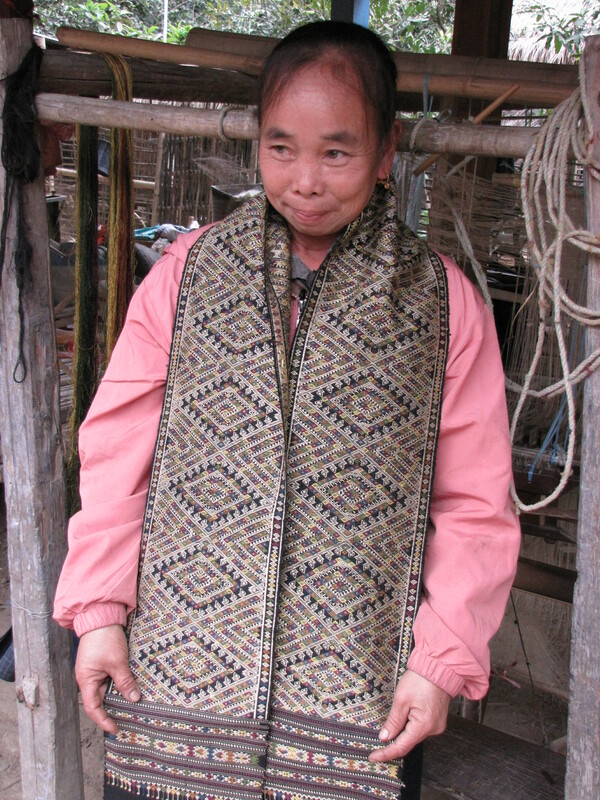 By the time bargaining was completed and I asked for a photo of a weaver with her piece, quite a crowd had gathered, and the atmosphere had become one of a party with everyone laughing and joking together as I took her photo. 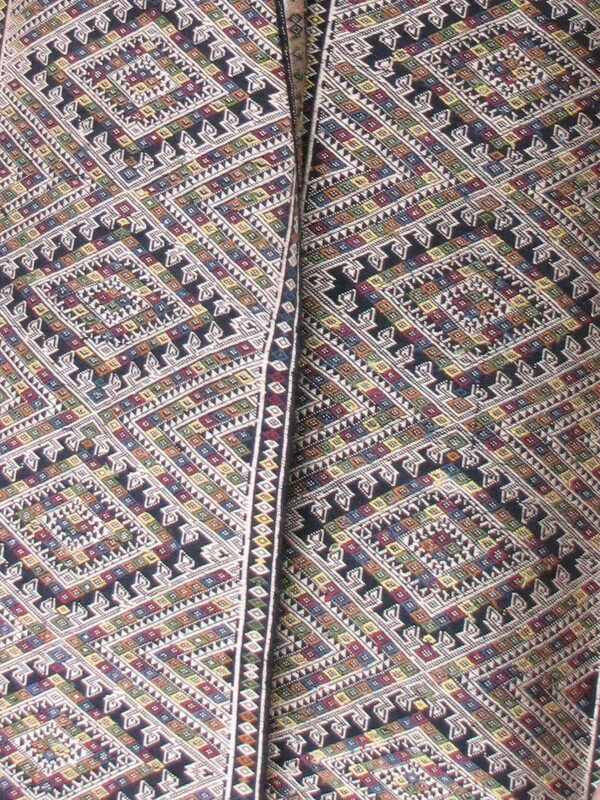 This entry was posted in Laos and tagged Asia, Laos, Sam Tai, Textile, weaving by Wendy Garrity. Bookmark the permalink. So wonderful to find your blog; it was amazing to read about your interest in the beauty and history of textiles from different cultures. When you went to villages to buy direct, did you have a guide or translator or do you speak the language? Do you ever bring interested people with you?